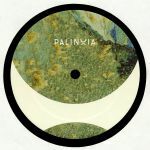 Review: Eric Cloutier launched Palinoia last year with a single of his own, but now he's turned to Berlin mainstays Exercise One to lay down some of their trademark psychoactive machine music for the second installment. "Heptagon" sports metallic synth notes clanging out over a freight train of techno drums, while "Prism" takes a more nimble approach to twist out its various synthetic squeaks. "Nitrogen" is a warmer proposition, placing the emphasis on chords and melodies while still aiming squarely at the dancefloor. 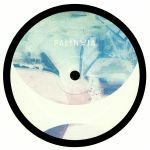 "Thirty Four" finds the duo veering away from the 4/4 dogma to deliver a captivating kind of broken techno in a soundscape loaded with tension and ominous empty space.